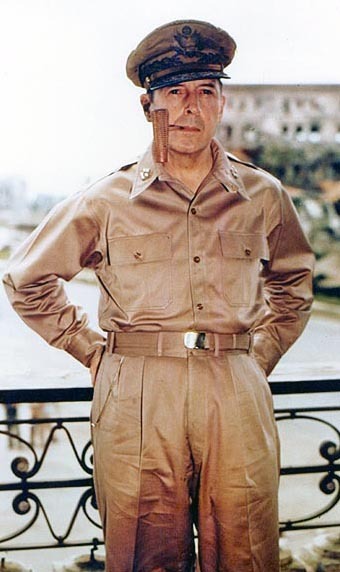 The son of Medal of Honor winner General Arthur MacArthur, Douglas MacArthur was a star cadet at West Point and served valiantly in World War I. At the outbreak of World War II, he was in command of the Philippines and fought a gallant but doomed defense against the Japanese invasion until he was ordered by President Franklin D. Roosevelt to evacuate to Australia. He then assumed overall command of the Southwest Pacific Theater and was a prime architect of the U.S. victory over Japan.